Dr. Denlinger is Chief, Division of Gastrointestinal Medical Oncology and Associate Professor, Department of Hematology/Oncology at Fox Chase Cancer Center in Fox Chase, Pennsylvania. She also serves as Director of the Fox Chase Survivorship Program and as Deputy Director of the Early Clinical Drug Development Phase 1 Program there. 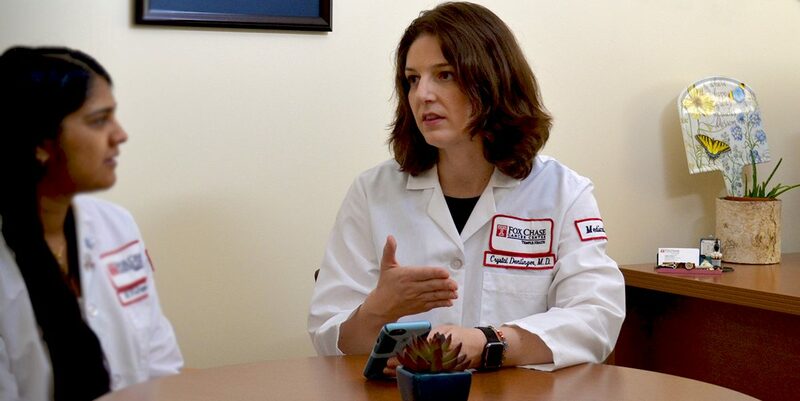 She is also an adjunct Clinical Associate Professor in the Department of Medicine-Oncology at the Lewis Katz School of Medicine, Temple University, in Philadelphia, Pennsylvania. I’m a medical oncologist, and I understand that a cancer diagnosis is a formidable and life-changing experience for the patients I see. They place an incredible amount of trust in the physician they choose to treat them, and they want to know that their physician is an expert in oncology and is up-to-date in the most recent advances for their type of cancer. Board certification helps to show patients that a physician is striving to remain up to date with his or her skills and knowledge base, and that an organization is willing to attest to that knowledge, giving them the extra level of trust they need when selecting the right physician. The patients that come to me know I’m board certified. They’ve done their research. In addition to my education and training, my certifications are listed on my organization’s website, and patients can also find my certifications in Google searches and on the American Board of Internal Medicine (ABIM) website. The “Certified, Participating in MOC” designation beside my board certification listing on the ABIM website shows that I’m not only certified but that I’m working to continually maintain my certifications, including attending oncology MOC workshops, logging many long hours of self-study and reviewing recent journal articles to prepare for the MOC exam. 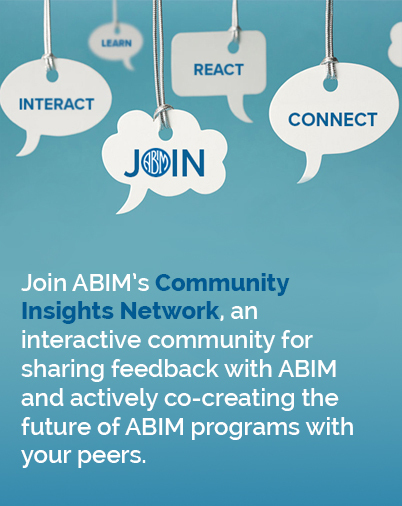 My certification also helps patients feel confident with the recommendations that I’m making, because they see that ABIM—a national assessment organization—has given me its stamp of approval. I maintain my Medical Oncology certification because it’s most relevant to my daily practice, but I also chose to maintain my Internal Medicine certification. It’s not required by my institution or by ABIM, and my patients don’t necessarily look for it when selecting an oncologist, but I wanted to stay up-to-date in the field as I work with patients and survivors who not only have cancer but may have other medical issues. I don’t manage diabetes, high blood pressure or heart disease anymore but these are conditions that many of my patients have in addition to cancer. When I see someone with a problem that lies beyond my area of expertise—heart failure, for example—I want to at least be familiar with the issue and understand the current standard of care. In reviewing for the exam, I found myself surprised at all of the changes that have occurred in the last 10 years. That’s when I knew I’d made the right decision to maintain both certifications. My board certifications speak to the fact that I am engaging in educational exercises and taking the time to learn new things every day. Maintaining my board certification gives me—and my patients—confidence that I’m following the highest standards of care.